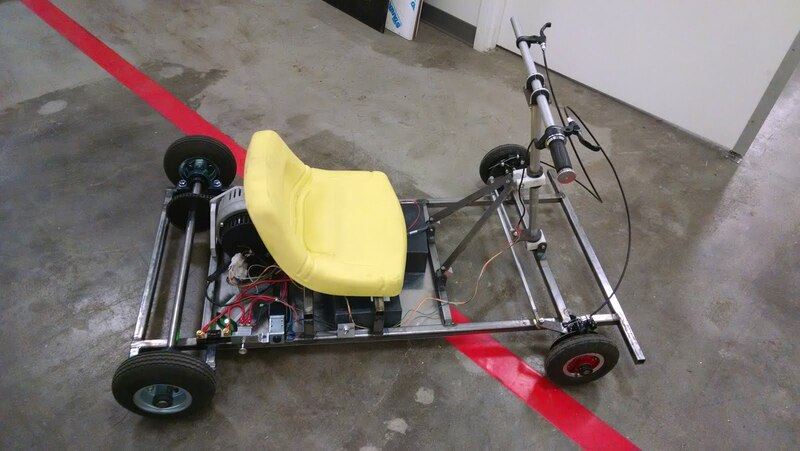 This was a quick and dirty electric go kart made of square tube steel. It is powered by three 14 V 47 A-h lithium ion batteries that are not designed for electric traction, powering a Kelly brushless controller and an oversized ME4201 motor (it was on sale). The kart cannot decide whether it wants to over- or under-steer, due to the lack of suspension. All content under Creative Commons Attribution-NonCommercial-ShareAlike 3.0 License. Simple theme. Powered by Blogger.